Mrs. Henry M. Shepard was present when the first chapter in the United States of the Daughters of the American Revolution was organized, the Chicago Chapter. She is a Charter member of the National Society, joining in 1891, through the Chicago Chapter, 1892–1893. 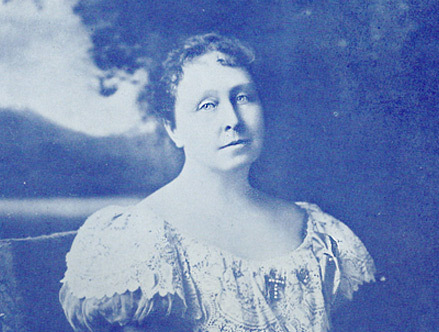 In 1894 Mrs. Shepard was elected Vice President General from Illinois, 1894–1896. She has the distinction of being the only Illinois woman who was First Vice President General and later State Regent of Illinois. She was State Regent, 1898-1899. Mrs. Shepard was Chairman of the Building Committee of Memorial Continental Hall for five years and made a wonderful record in work accomplished during that time. She is a woman of great executive ability, and has the rare gift of presenting a cause in a most charming manner. By her persuasive and eloquent appeals and concerted action the scope of the work for Continental Hall extended to almost every state during the five years she was National Chairman. In after years Mrs. Shepard was one of the organizing members of Kaskaskia Chapter of Chicago and still retains her membership in this Chapter. The Kaskaskia has taken a chair in Constitution Hall in honor of Mrs. Shepard. She was born in Geneva, New York, but came to Chicago after marriage where much of her life was spent. After so many years she has returned to the city that knew her in girlhood and at this time is living in Geneva, New York.